There’s an elementary school near our house with a sweet little footpath that I almost always take, even though it’s not always the most efficient way. 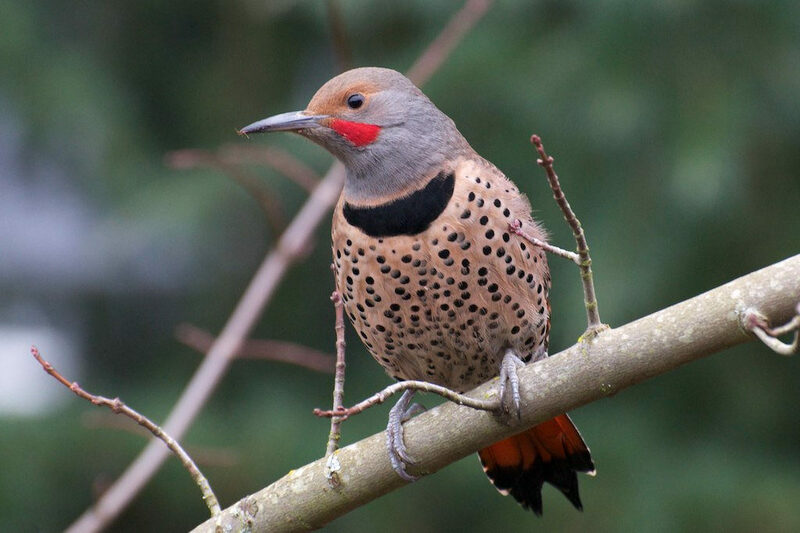 The other day, I turned off the sidewalk and onto the path, taking not five steps before I almost stepped on a northern flicker. The fact that I almost stepped on him should tell you something. He wasn’t flying. He wasn’t hopping. In fact, after I took a few steps back to give him some space, I watched him over and over fall onto his side as though he couldn’t stay upright. He’d stretch out all his muscles, twitch his legs, curl and uncurl his toes, and I wasn’t sure if I was watching a valiant attempt to get back to normal after some traumatic event or the last muscle spasms before death. Somehow, it seemed important that I look out for him for a second, to have someone bear witness to what would transpire. So I sat down on a nearby bench, and I directed all my positive energy toward him. I watched as he blinked and blinked, so fast, his throat heaving. I watched him flop over on his side again, seemingly pulling himself along the ground with his beak, legs spasming. I watched him right himself. I watched him try to flap his wings. I watched him get a few inches off the ground and fall back down again. I willed him to get better. I told him it was okay to rest. I wished and I wished and I wished. I probably sat on the bench for twenty-five minutes, thinking happy thoughts. And he did seem to get stronger. And yet every side flop made me cringe. What was going to happen to this brilliant, beautiful, broken bird? Finally, excruciatingly, he succeeded in pulling himself off the path and over to a rock; he tucked himself up next to it, upright but unmoving. And he sat there a long, long time, every so often shifting around, but, it seemed to me, mostly just gathering his strength in a safer spot. I watched him rest there, and eventually it seemed right for me to give him space, to let him do whatever was going to happen next without me watching. I’d given him all my positive thoughts, I’d wished and wished and wished, and it was time to let him be. I took my leave, with the best of luck. Later, when I went to work, I biked past the same spot, just to check. He was gone. Thanks for the powerful story and for making space for the world to transpire in dignity.